Serendipity overlooks a quiet and protected end of Whaler Bay. 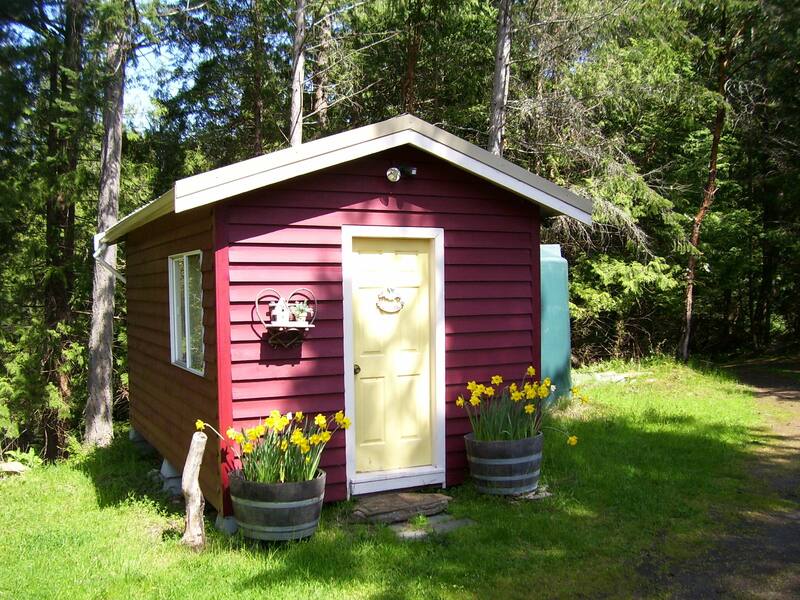 A short stroll from Sturdies Bay(ferry), makes this cabin ideally situated for people who want to walk, bike or bring their car. The commercial center of Galiano, with it’s food outlets, bakery, gift shop, gas station, liquor store and more is a five minute walk. Serendipity is made up of two cabins. 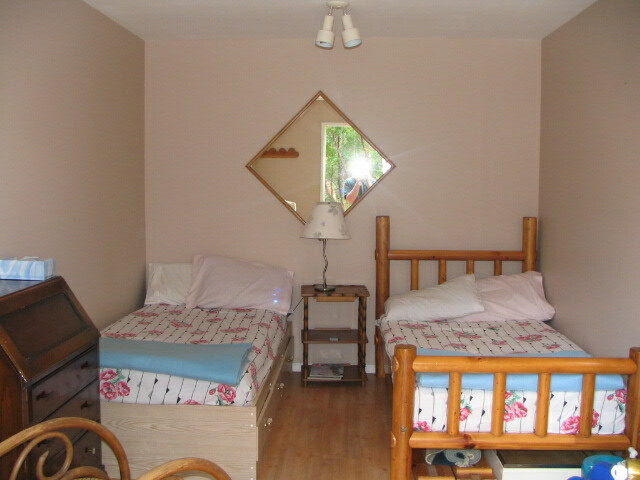 The second cabin is a bedroom only and has two twin beds. This is ideal for another couple offering privacy or for giving kids a sense of adventure. People using the second cabin have a separate entrance to the bathroom. Daily rate is $125 per night (two night min) for the main cabin. *The second cabin is an extra $35 per night. The weekly rate for the main cabin is based on 7 nights and is $700. Daily rate is $150 per night (two night min) for the main cabin. *The second cabin is an extra $35 per night. 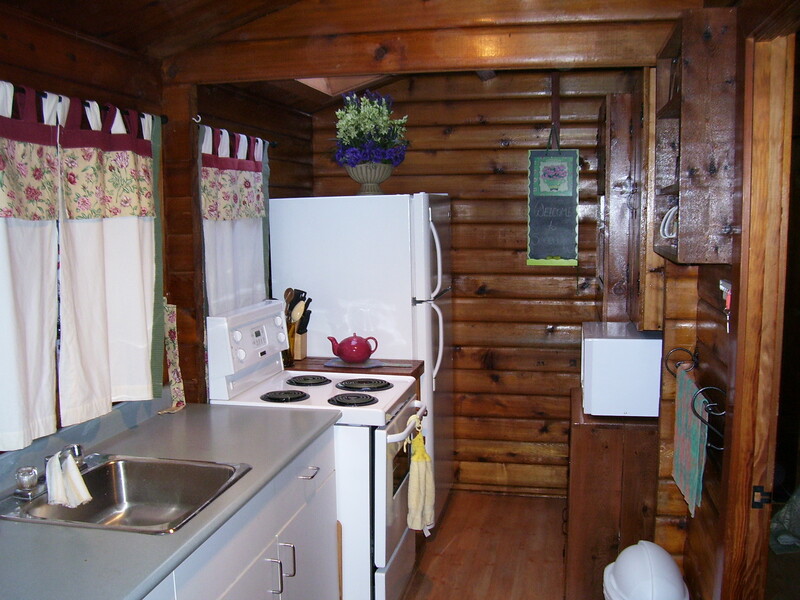 The weekly rate for the main cabin is based on 7 nights and is $900. * The second cabin is only rented as an addition to the main cabin. It can not be rented seperatly. Bookings are taken over the phone or via email and are considered tentative until the deposit is received and cashed. All payments are by cash or cheque only. A deposit of $100 is required to hold a booking and a second cheque for the remainder of the rental will be held and cashed a week prior to the rental. Included in the rental there are two mountain bikes and a canoe. 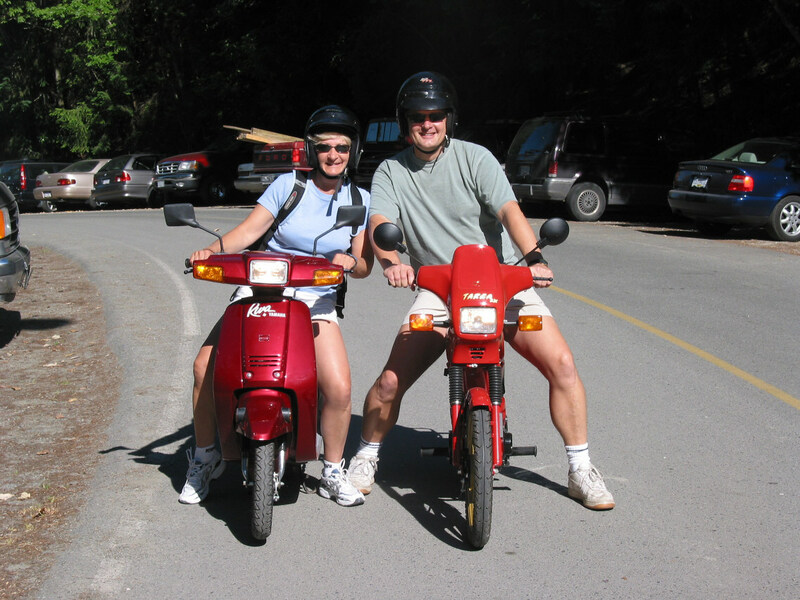 Galiano has many great areas to ride such as the extensive bush trails that lead to one great view after another. http://www.galiander.ca/galianotrails When canoeing we strongly recommend that you launch at our beach and stay inside the bay. Beyond the bay, the current from Active Pass and waves from the ferries are not suitable for a canoe. Best times to see the seals on the rocks are in the evening, morning and at low tide . 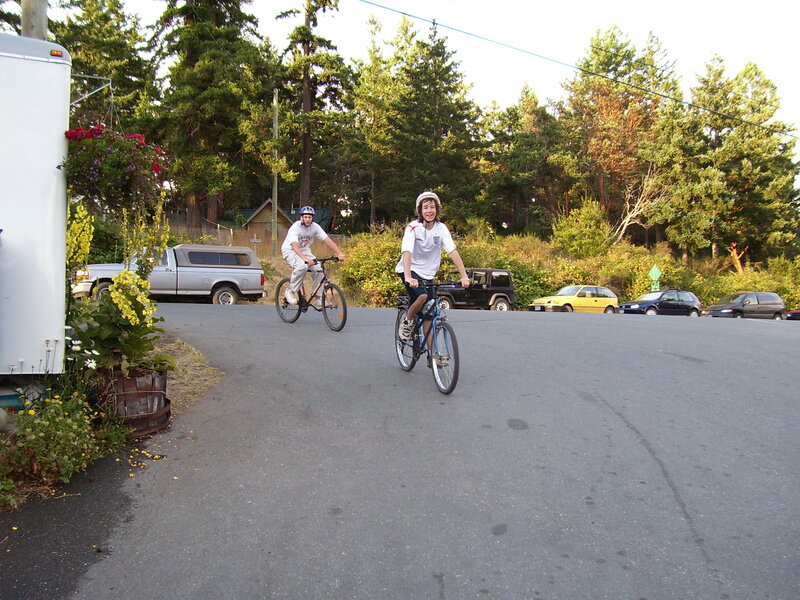 Galiano offers many exciting and adventurous activities, hiking, walking, bike riding, water sports, bird watching, swimming, sightseeing, kayaking, scooter rental, golfing, shooting range, and many more. 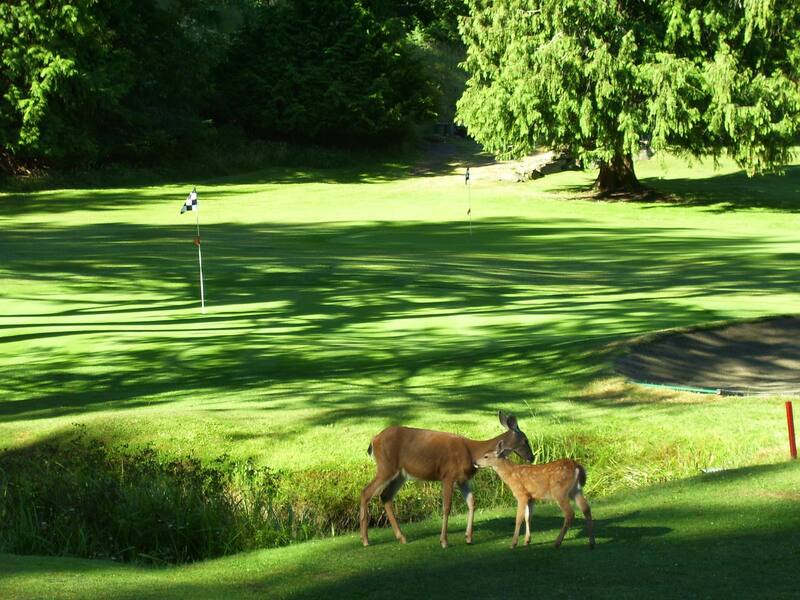 The Galiano Golf Club is a nine hole executive course that is challenging and scenic at the same time. The licensed restaurant serves light meals and summer dinners. 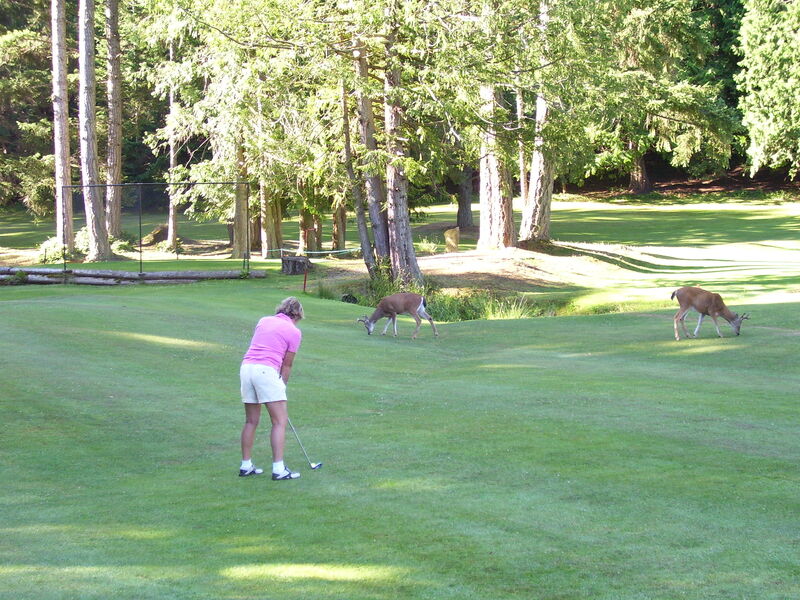 Don’t be suprised if you are waiting for the deer to clear off the green before you shoot. The course is on St. Andrews drive. 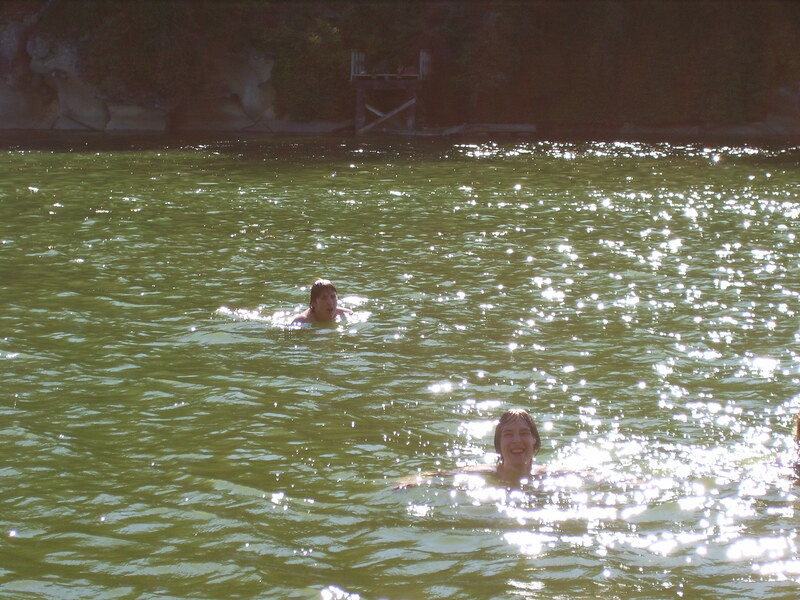 Swimming is popular due to the mild climate of the gulf islands. There are several beaches scattered around the island, but none so warm as our own. Because it is only fifteen feet deep at high tide it gets very warm in the summer months. There is very little wind or waves in the protected area outside the cabin. Eagles– There are several areas on the island that are good look outs for Eagle watching. In the summer they like to ride the thermals when the days are warm. Galiano is known for the hummingbirds that live there. Watch out for them. 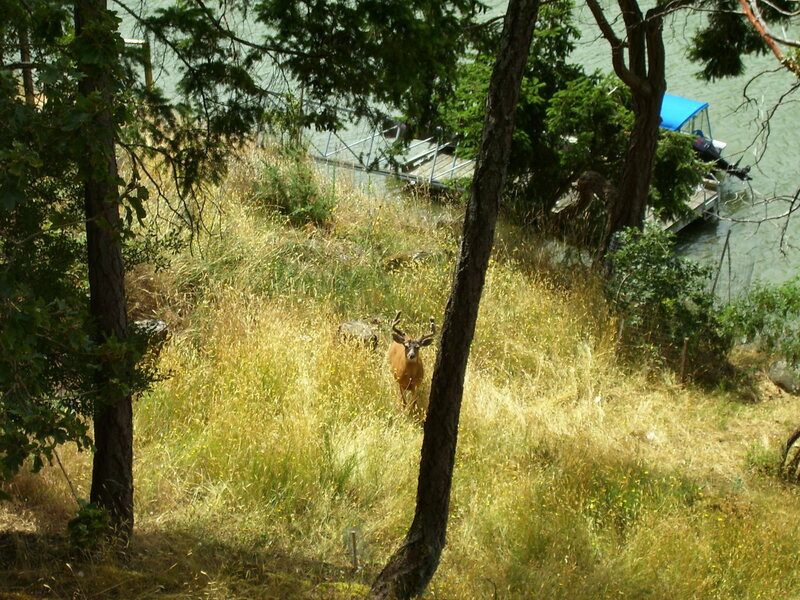 Over a hundred and fifty species of birds visit the island and ninety species nest on Galiano. http://www.enchanted-galiano-island.com/2006/bird-watching-vacation.html The Bluffs and Bodega Ridge are prime sites for birders. 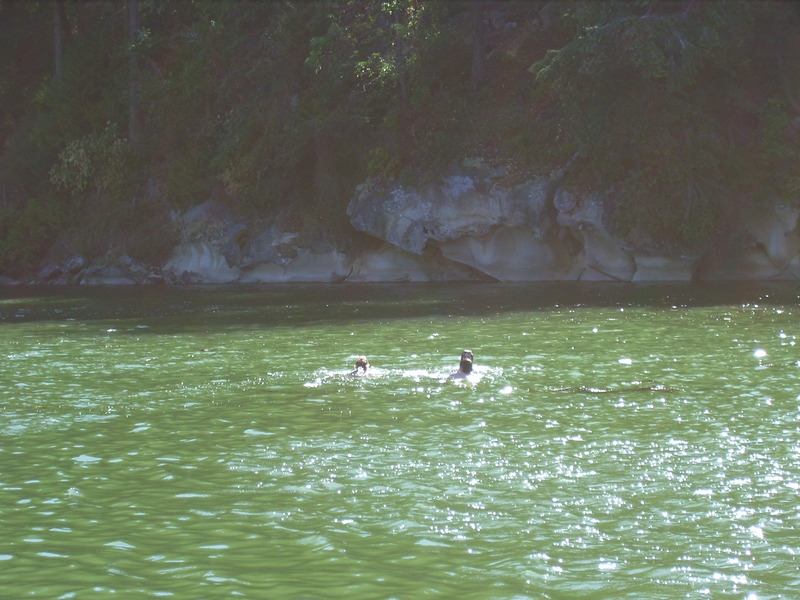 Whales– There is a variety of marine wildlife around the Gulf Islands. You will often see Seals, Otters. Orkas, and Porpoises. Orkas will be seen going through Active Pass from Bell House Park in the summer months. The island has several massage facilities and a spa. 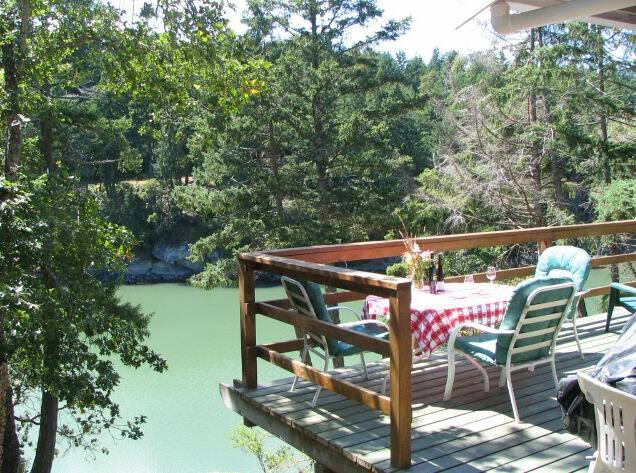 The most well known is the Galiano Inn located in Sturdies Bay. This resort has a first class spa offering many different packages. www.galianoinn.com/site/madrona_del_mar_spa. The Hummingbird Pub is a pleasant place to have a meal and drink. They have good food and a outdoor beer garden. This pub allows kids on the premises so you can go for a family lunch. You can also sit on the grass or outdoor deck.They have pool tables, dart boards, and large screen tvs. It is open till late, seven days a week. The pub is a 5 min drive from Sturdies Bay, north on the main road. The Health Club is available through the gym located at the school. 1.Bluffs– The bluffs are located at the end of Bluff road and offer views over the gulf islands and as far south as the United States. You can see the ferries going through Active Pass on their way to Victoria. Must see!! Along the way to the Bluffs you pass a sign on your left pointing to Bell House Park. http://www.galianoislandbc.com/parks/?id=50 Take a moment to check this park out. It is right on the entrance to Active pass and usually has seals swimming off the shore. Great views!! Take your camera. 2.Cemetery– If you go to the bluffs, then carry on through the forest and you will come to Active Pass road. Turn left and go to the end. The cemetery has a very interesting history and it’s well worth the visit. This is one of the most scenic spots on the island . There is a seal colony at the flashing light marking the entrance to Active pass. Sit for a minute on the benches and take in beauty. This is where the Victoria ferries pass each other. 3.Bodega Ridge– Spectacular is the only way to describe this look out. This is one of the highest places on the island and one of the easiest to reach. From the view point you can see Naniamo to the north and to the south right down to the US. Take a lunch, a bottle of wine and a camera. To get there drive along Porlier Pass road heading to the north end of the island. About twenty minutes or so you will come to Cottage way on your right side. Follow the road till you get to the end and take the trail that is marked. Follow this along till you get to the highest point, if you go further you will start to descend. The look out has a stone bench and the area is cleared. This should take about thirty five to forty minutes walking. Dont miss this. 5.Kayaking– Montague harbour rents kayaks and has great areas to paddle around. 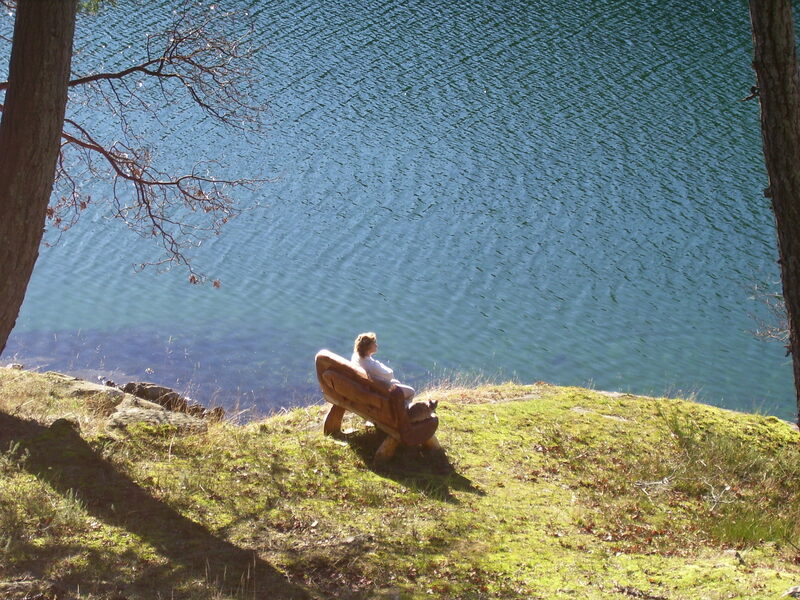 You can go for a trip to Salt Spring island or around Parker island. 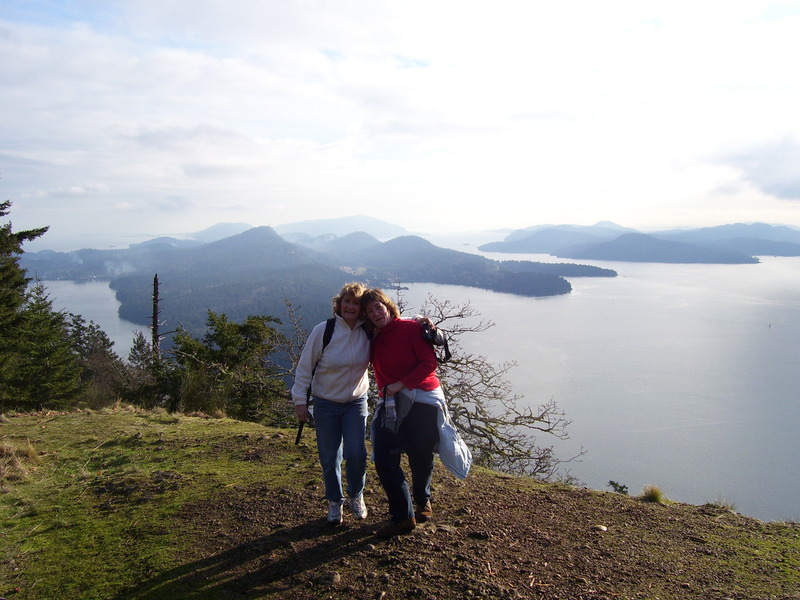 6.Mount Galiano-The views from the highest spot on the island are breathtaking. Again you can see all the way to the US. The trail is near the cemetery on Active Pass road. This is a one hour hike and even though there is a road and trails all the way up to the lookout, it is a bit challenging. Take your camera and some water. Near the top you might see a plane that crashed many years ago just off the trail. Should take about an hour to reach the lookout. 7.Canoeing-Take the canoe out in the morning or evening and have a quiet paddle around Whaler Bay. No need to go far to find serenity. Take the camera as the seals will sometimes come to the boat. Please stay inside the bay. 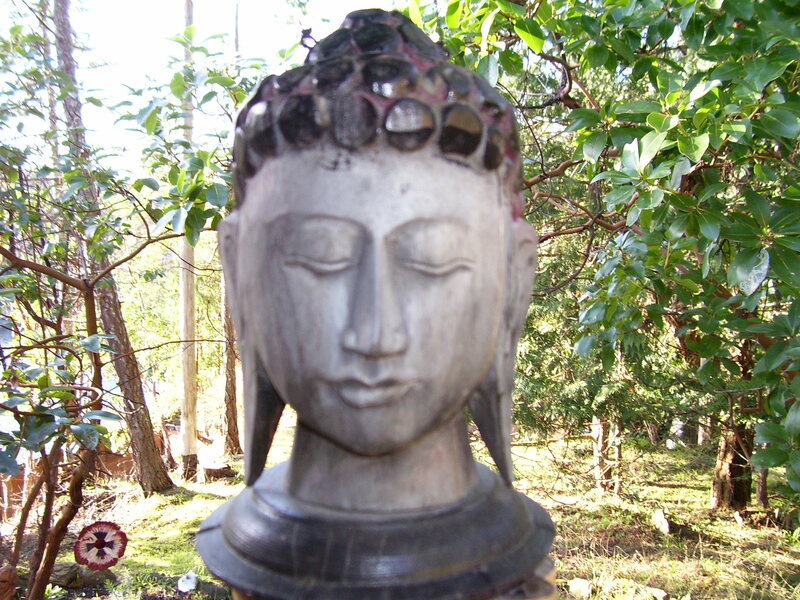 8.Spa/Massage– There is a first class spa at the Galiano Inn that offers many packages. Pamper yourself! Also on the island there is many places to have a massage. A new one has opened across from the gas station. 9.North end of island– Take a drive to the north end of the island. 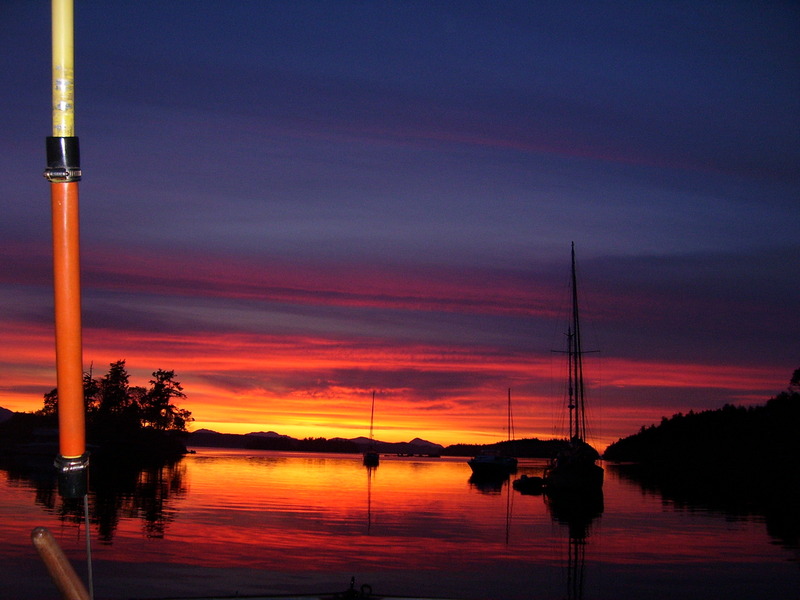 The views of Trincomali channel and Salt Spring island are not to be missed. Along the way stop in at Retreat Cove and take a walk on the beach. There are small sandstone caves to explore. 10.The deck– I saved the best for last. 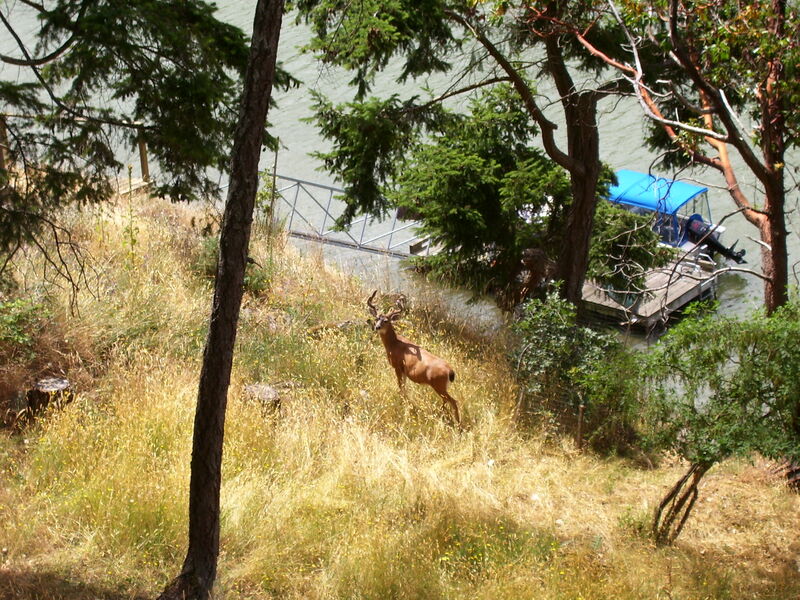 Spending the day on the deck can be many things for many people but it’s always a pleasure. Read a book, have a BBQ, go swimming, get some sun. watch the otters play, eat some appies, it’s all up to you. Short Tour– If you are looking to get an idea of the views and just want a short tour by car, this loop might appeal to you. Don’t forget the camera. Start by going along Bluff road till you come to Bell House Park on your left. Check this out as the views are special. This park is at the entrance to Active Pass and is popular for outdoor weddings. Carry on along Bluff rd until you come to Bluff Park on your left. This is in the forest and is clearly marked. This has views of Maine Island, Olympic Penninsula, and down to Sannich. This area is known for the Eagles that soar on the thermals. Back on the dirt road, carry on to the paving. Turn left and follow Active Pass road to the end. Go in the Cemetery and follow the path to the end and you will find benches. This is the other end ot Active Pass. From here you will see where the ferries pass next to each other. There is a seal colony right here and you will see them on the rocks around the flashing lights. This cemetery dates back to the 1800’s and has a lot of the history of Galiano. From here follow the paved road back along to the firehall and stores. On your left you will see the Hummingbird Pub, stop in for Fish and Chips and a cold drink. To get home from here, keep following the road and it will take you to the town center. This should take you around two hours depending on how long you stay at the pub. Groceries- There are three shops on the island, the first is in Sturdies Bay. It is the gas station, liquor store, has ice cream and take away food. They carry a large range of fresh and frozen items. The second and third are located 5 min north by car up the main road. One shop is a general store that is also the LCB(gov liquor store). They have a good selection of fresh and frozen food. The third is the Organic store, they have a great selection of cheeses, deli treats, fruit and vegetables, crackers etc. If you are looking for appies this is the place to go. Also the owner is a photographer and has some spectacular shots of the island hanging on the walls. It’s worth going just to see the pictures. Bakery– Located in town this place is under new management and has great food and coffee. The service is friendly and quick. All baking is done daily and on the premises. Laundry– Located in the mall. Yes we have a mall and it’s in the town next to the bakery, on the right side. The laundry is in the basement. Police– The RCMP are located in the mall next to the bakery on the right. Their office is in the basement. Medical Clinic– There is a doctor on the island and a nursing practitioner; the clinic is located on Bluff road. Gas and Propane– There is only the one gas station, at Sturdies Bay. Propane is available twice a week from the rear of the gas station. Weddings and family get togethers-There are sereral great locations on the island. If you are looking for an outdoor locaton, Bell House Park is often used with fabulous views. Also there is a town hall located 5 minutes drive north as well as the Lions hall. 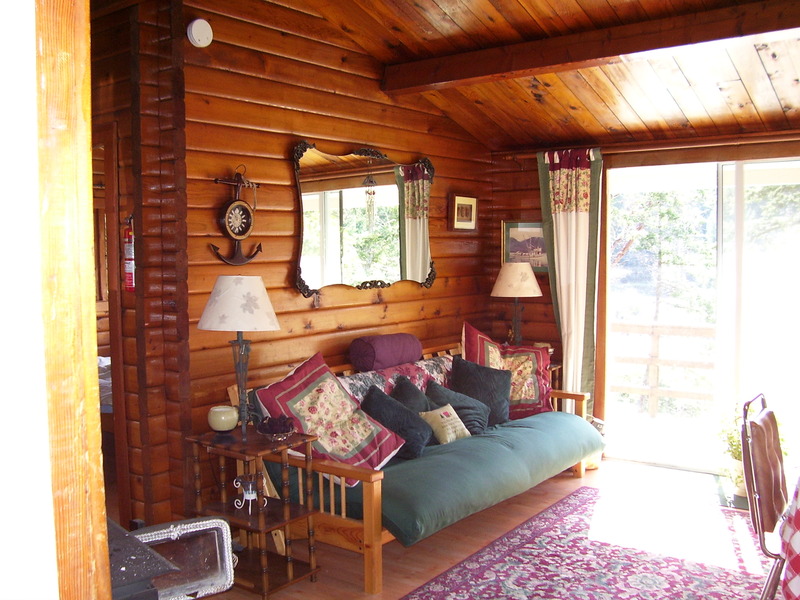 Our property has plenty of room to have get togethers either by the cabin or near the water. The property is just over one acre. If this is of interest to you, please ask us prior to booking and we can advise you. Vancouver– Reservations are strongly advised as the summer traffic is very heavy. Please note that if you miss your ferry connection we cannot guarantee overnight accomodation that has not been previosly booked. Reservations are free for people bringing their car but cannot be made for walk on traffic. Go early to get tickets if you are walking on. The ticket sales start at 3pm to return to Vancouver. If you don’t have a reservation, some people take their car down early in the day and park it next to the fence at the ferry terminal entrance. This is the overflow line and if there is extra space on the ferry you might get on. Be back in your car by 3pm. Once you get your ticket you can walk back to the cabin. Victoria and Gulf island ferry schedules are available from the ferry office or on line. When travelling to other gulf islands, there is no charge for walk on’s. Reserviatons can not be made for this run. Water– Water on the island is collected or pumped through a well. We collect our water from rain and in the summer we have to be very careful. Please limit your shower to a few minutes. The saying on the island goes like this. “If it’s yellow let it mellow, if it’s brown flush it down. Please only flush the toilet when nessesary. Drinking Water– Even though the rain water is filtered and treated we recommend you do not drink or brush your teeth with the tap water. There is drinking water in the containers in the fridge and the bathroom. Septic– All houses are on a septic system, please do not flush anything such as feminine products down the toilet. Other than paper, if you didn’t eat it, don’t flush it. Breakage- If you break something please let us know so it can be replaced. Elecrical-Sometimes on the island the power goes out or causes the breakers to go. If this happens the fuse box is located in the bathroom above the linen cupboard. If there is a power outage on the island, we have candles in the drawer of the kitchen cupboard. 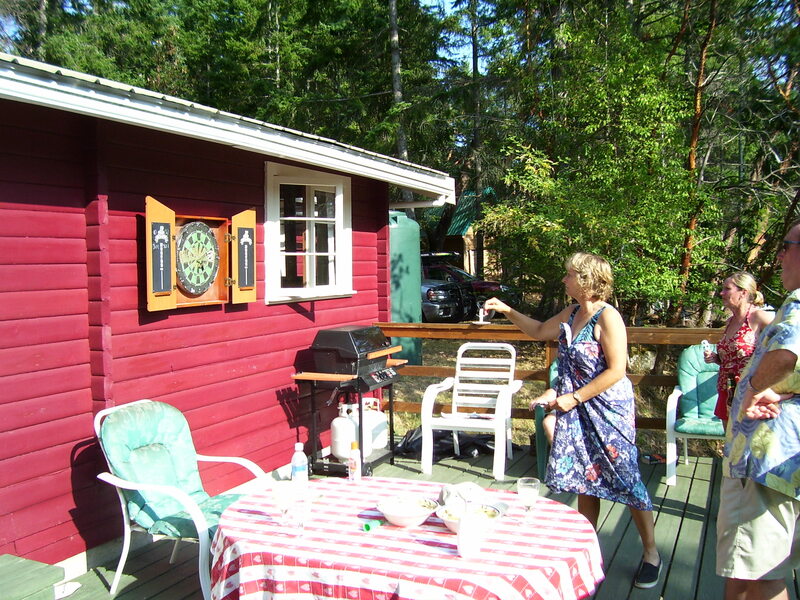 Phones– Cell phones work at the cabin. They do not work all over the island especially as you travel north. If you need a public phone box they are located at the bakery and at the ferry terminal. Both these phone boxes take credit cards. 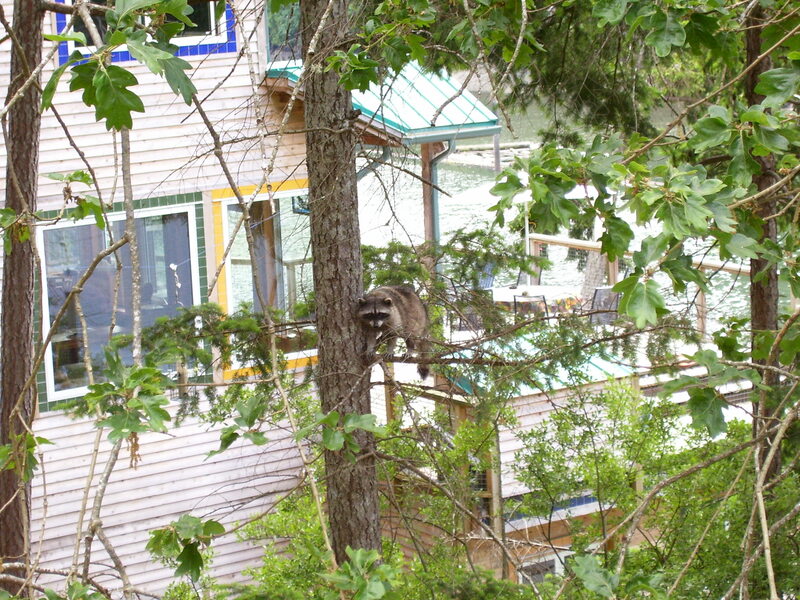 Garbage– Galiano island does have a garbage pick up service and they look a lot like Raccoons. Please take all your garbage with you and don’t leave anything outside during the night. Heres one doing the rounds now. Recycling– There is a recycling center across from the hardware store near the pub. They will take bottles and cans. First-Aid– There is a first-aid kit in the bathroom at the bottom of the linen cupboard. If you use something please let us know so we can restock it. Fires- All the Gulf Islands have a fire ban during the summer months when it’s hot. Please respect this and do not have any outdoor fires when the ban is on. There is a very limited volunteer fire department and not much water to work with. Heating the cabn– There is electric baseboard heaters in each room and of course the fire place in the main cabin. Wood is supplied for your use and kindling is kept in a large box by the front door. Please be sure to turn off the heaters when you leave. 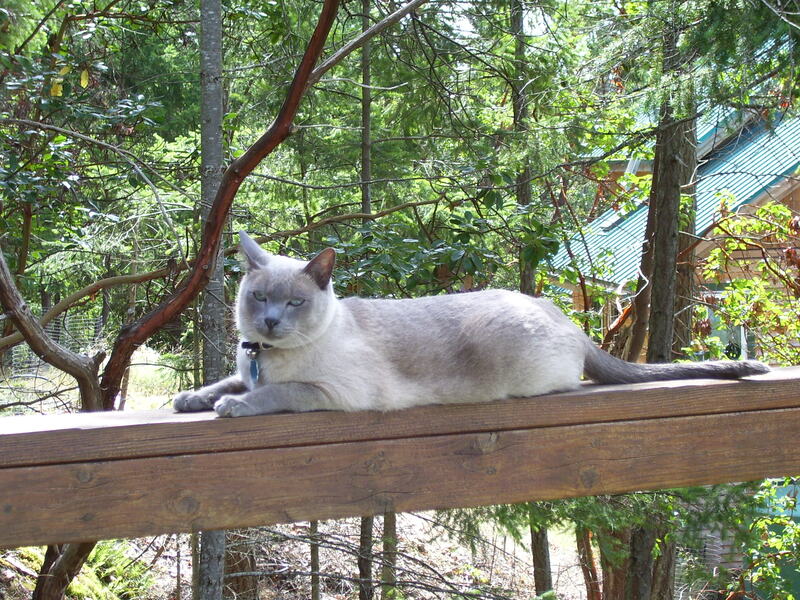 Pets- We will consider some pets at the cabin. Please mention it when you contact us prior to booking . Television- We do not get reception on the TV but we have a DVD/VCR player for your use and there is a library at both grocery stores . We do have some movies at the cabin . Perhaps you might want to bring a movie to watch from home. Music- Thers is a stereo system at the cabin with a CD player and a MP3 connection. Bring some music if you wish. Kitchen- The kitchen was recently renovated and has all new modern appliances. There is a full size fridge and stove. Also there is a coffee maker, toaster, kettle, electric frypan, microwave oven, and all the dishes you are likely to need to make a meal. There is no food at the cabin but all you need is available at the local shops. The meat on the island is frozen for the most part and we recommend you bring it from home. All the stores have fresh vegetables and milk etc. Bathroom– The bathroom has a shower, sink, and toilet and a hair dryer. Linen– Linen is included in your rental. Some folks like to bring their own sheets, please feel free. BBQ– There is large gas BBQ on the deck for your use. Sundeck– The sun deck has chairs and a table. Bicycles-Two mountain bikes are supplies with two helments (must be worn). They are kept is the Pump shed. Canoe– The canoe is on the beach and is orange. Do not use the Kayak’s as they belong to the neighbours. The paddles and life jackets are kept in the Punp Shed. Use at your own risk and please do not leave the bay area. Departure– If it’s time to keave, thanks for coming and I hope we see you again. Please make sure that you have not left anything behind. Check the CD and DVD player. Don’t forget the freezer. Please make sure you turn off the heaters if they were used. We would apprieciate if you could shut the curtains. Don’t forget to replace the key in the lock box. Guest book– We have a guest book and we would apprieciate your comments. Also you can leave a comment on this site . We hope you have a great stay at Serendipity and tell your friends. If you have any comments regarding this site or feel we could add something we look forward to hearing from you. Your comments- If after you have read this site and still have some questions you think should have been answered or comments, please we would like to hear from you. If you have stayed with us and have some great photo’s or stories I would apprieciate hearing from you. Email me on frazerview@yahoo.com . Send me some photo’s and we might put them on our web site.